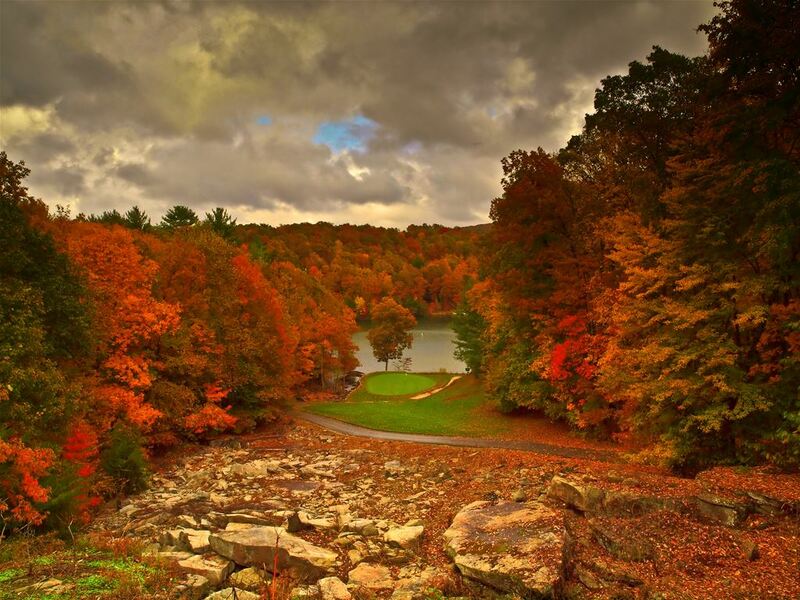 Crossville and Fairfield Glade in Tennessee are well-known as the "Golf Capital of Tennessee." 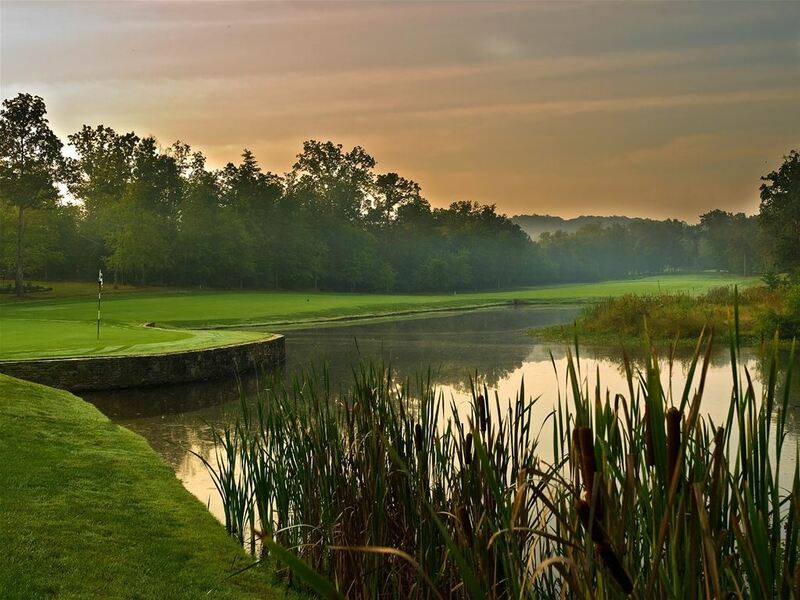 Located about 100 miles east of Nashville, Crossville attracts a huge number of golfers and vacationers looking to play Fairfield Glade and Lake Tansi Resorts, along with the Tennessee Golf Trail. 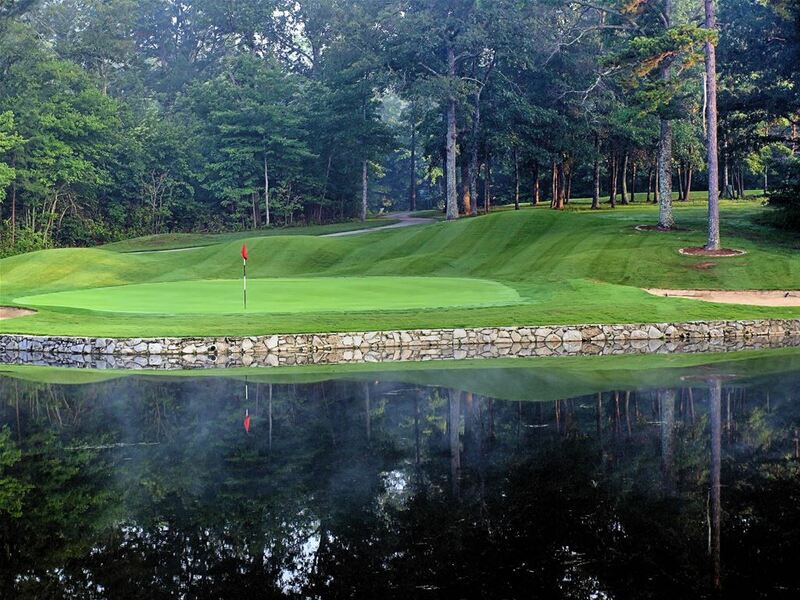 Golfers can enjoy some of the finest golf courses in Tennessee with Stonehenge, Druid Hills, Dorchester, Heatherhurst Brae, Heatherhurst Crag, Lake Tansi and Bear Trace. These courses on the Cumberland Plateau carry the signature designs and vision of the legends, including Jack Nicklaus, Bobby Greenwood and Gary Roger Baird. The scenery is spectacular and the 18 hole golf courses are challenging and enjoyable. Even the facilities are top-notch. Any visitor in Tennessee can always expect a healthy dose of good, old-fashioned Southern hospitality. But these Tennessee golf packages go the extra mile and pile it on with fine dining, theater and bargain shopping. There are even packages for couples that combine romance with golf, if that's possible. The accommodations will likely be close to Fairfield Glade. Around half of the courses are located there and the remaining are within a short drive, so going back and forth is no big deal. The package supports this kind of freedom to hit the green whenever the heart desires, with guaranteed tee times and carts provided. Most of the packages are pretty much all-inclusive. This means they include the accommodations, green fees, carts and all taxes, breakfast and many other resort-style facilities. Those who need even more flexibility can get customized packages tailored to match their likings. Crossville Golf is known as the "Golf Capital of Tennessee". There are 5 courses that are located in the Fairfield Glade community and 2 others that are approximately 20 minutes away. The area is known for its magnificent views and mountain golf. These courses will take your breath away and leave you with some lasting memories to take home to your friends and family. 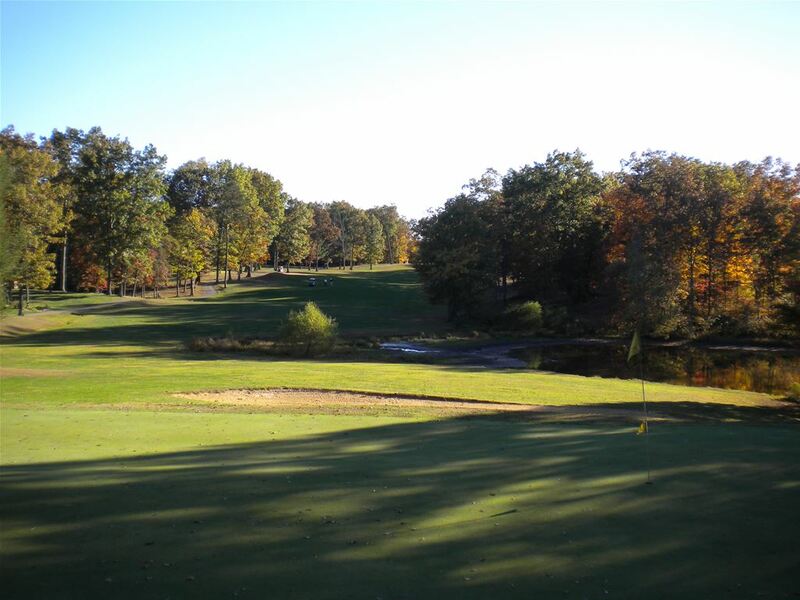 Fairfield Glade has 5 resort-style courses, listed below, with unique layouts that vary from mountain layouts to scenic lake holes with challenging golf and great conditions. The Bear Trace, which is always a favorite amongst our customers, is part of Tennessee's Bear Trace which is a series of 5 Jack Nicklaus courses that stretch across the state at various state parks. This is a golf trip that will leave you wanting to come back as these courses will not disappoint. Druid Hills is the highest elevation course in Fairfield glade which gives it some incredible scenic views of the nearby mountain chains. You will find a lot of water on the course with long rolling hills and tree lined fairways. 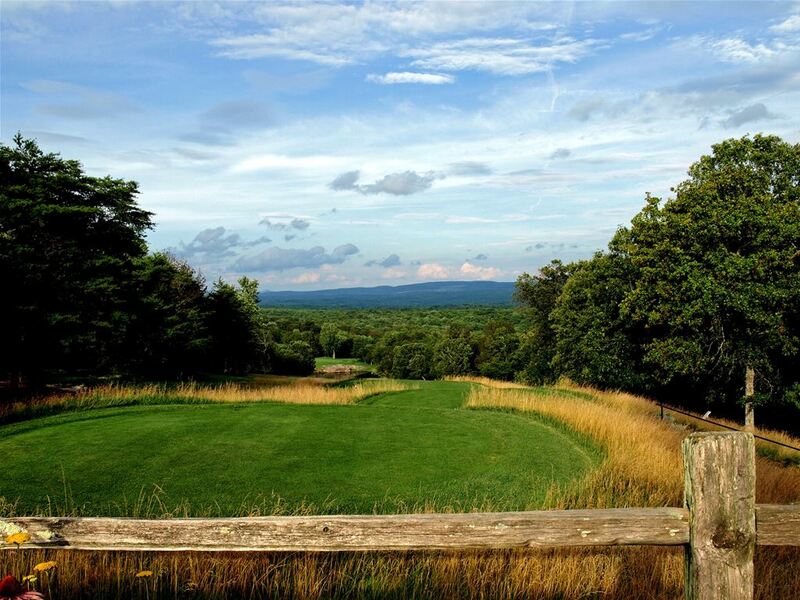 Dorchester is located in the backwoods of the Cumberland Plateau, and features a variety of holes that could have you hitting driver or iron off of the tee box. The shorter back side is more target style golf with several different landing areas such as hole 14 that has three different landing areas. Hole 13 is a beautiful short par three with a mountain backdrop and drastic elevation change. The front side will allow you to hit more drives such as hole 1 that requires a good tee shot to set up a fairway shot over a water feature. Most of the fairways are heavily tree lined making accuracy off the tee critical. Heatherhurst Brae consists of the original 18 holes created on the property. The feature of this course is the double dogleg on hole 4 that has been said to be the toughest par 5 in the state of Tennessee. This 4+ star course has Zoysia grass fairways with generous landing areas and challenging par threes that can play up to 200 plus yards. Hole 10 is one of our favorites which will have golfers teeing off on top of a hill that leads down to a green surrounded by water. Heatherhurst Crag is truly a mountain course with shot placement being extremely critical to get around the course. Fairways can get tight with plenty of elevation change that will test the distance on your approach shots. Hole 16 is one of the signature holes that has golfers teeing off of a bluff to a fairway with a rock facing on the right side. Some holes require an iron to tee off and/or hazard carries over water. Stonehenge is a Joe Lee creation that utilizes natural structures on almost every hole. The 14thhole is beautifully made with 15-20 foot stone walls running down the left side of the fairway. These stone features will be noticed by golfers on multiple holes and are not surprisingly where the course got its name. Bear Trace at Cumberland Mountain may be the most popular of the five Bear Trace courses. The Cumberland Mountain course is part of the Tennessee Golf Trail and has become one of the favorite places for visiting golfers to play due to Jack Nicklaus' great design. 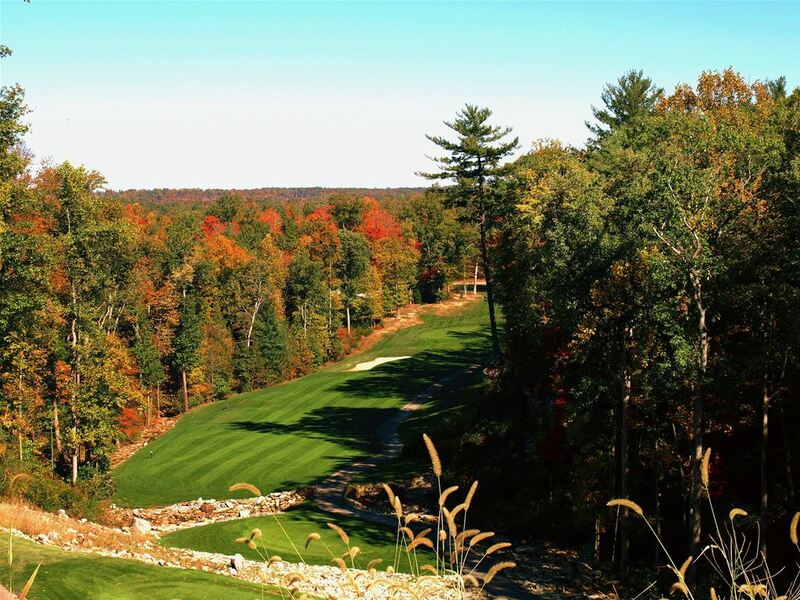 The course brings natural surroundings such as streams, elevation changes, flagstone and groups of matured pine trees into a championship caliber golf course. The par 72 course features elevation changes and is known for the 7th hole which has layered flagstone around the green. 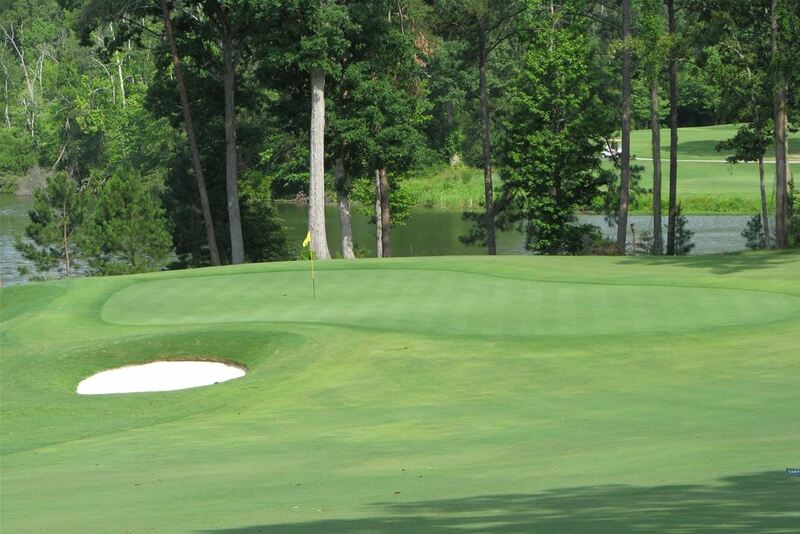 Lake Tansi earned the title of “Best Golf Course in Cumberland County” in 2014 which, considering the number of well rated courses in Cumberland County, is quite an accomplishment. The course is fairly short but is meticulously maintained and is noted by many to have consistently fast greens.